1. Be prepared before making an offer!!! Complete all the bank requirements before submitting an offer. Bank foreclosures often sell quickly... You don't want to miss the perfect deal because you are delayed meeting the requirements!!!! A copy of your pre-approval letter and or proof of funds. 2. Write strong offers!!! Although, the price of a bank foreclosure may drop eventually, banks never accept a "low ball" offer. In most cases there is even a secret formula of how much lower than the list price an bank's asset manager can accept. Once the price is dropped, the formula is reapplied. In addition: Banks like terms! Make certain that your offer has as few contingencies as possible, however be sure you give yourself enough time to meet the contingencies. Example: Contingent upon inspection. Don't ask for 7 days when all you need is 3 days! Remember.... Strong offers get accepted!! 3. Don't try to negotiate the banks addendums, they are NOT negotiable. Your attorney will hate the required bank addendums and try to change them. If the bank requires you to sign and initial 15 pages of documents, don't debate the subject unless you really don't want to buy the house. Just make sure you understand what you are signing. 4. Get an inspection!!! 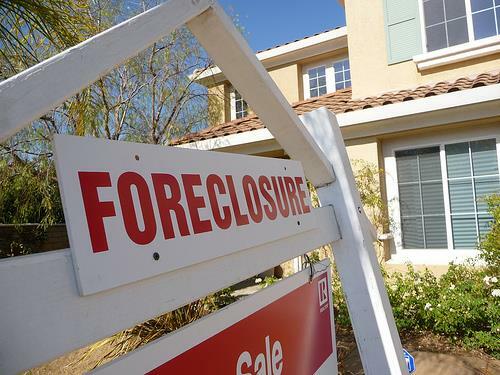 Foreclosed homes are victims of deferred maintenance. They often sit vacant for several months and are in need of numerous misc. repairs. Don't assume that anything works until it is inspected. 5. Do the math!! Estimating ARV (after repair value) is a must. Make sure that the price of the home plus all your repairs will not exceed its market value. Final Note: Foreclosures can be fantastic investments and are most often priced and sold below market value. Buying a foreclosure is not a difficult process as long as you are prepared and know what to expect. If you would like any additional information regarding the foreclosure buying process call or write anytime.